This does not mean that the say parents have in the lives of their children is absolute. No earthly authority or concern is absolute. All earthly authorities and concerns have boundaries, both vertical and horizontal. Parental responsibility has vertical boundaries, for every authority is under that of God. He alone has absolute authority. Parental authority is bound to the law of God. Further, the exercise of this authority must show itself to be God working through parents. As Lord's Day 39 says, it is God's will to govern children by the hand of their parents. Parental responsibility also has horizontal boundaries. There are others—people and spheres of people—who have something to say about the child and who have responsibility towards the child. The state does. If parents abuse their children then the state has the duty to intervene. The state must even remove the children from the parental home if they are put at risk by being left there. Romans 13 teaches us that the government is "God's servant for your good." It is also God's servant for the good of the child. The state has been ordained by God and has a divine calling towards the children and may, at times, need to intervene to protect the life of a child. We could also think of compulsory immunization programs or compulsory education until age 15. The state makes these laws for the good of its young citizens. The church also has something to say about the child and has a responsibility towards the child, for the children belong to the church. As we confess in Lord's Day 27, "... infants as well as adults belong to God's covenant and congregation." When a children are born, they are born in the parental home; however, they are also born in Zion (Psalm 87:5). From birth a covenant child is a member of the church. In John 10 the Lord used the image of a sheepfold to describe the congregation. A sheepfold will also have lambs. Those lambs belong to the sheepfold as much as the older sheep do. In the spring when lambs were born the shepherd did not wonder what to do with them. He understood perfectly well that those lambs were also his responsibility. They often needed special care. The shepherd would, at times, have to carry them in his arms. Just as a lamb belongs to the flock from birth so a child born to members of the church belongs to the church from birth. They are lambs of the flock of Christ, the Good Shepherd. What a privilege for the lambs! They do not need first to make a decision for Christ before they can be numbered among the members of Christ's flock. They are by birth. And this is guaranteed to them by baptism. Peter (in 1 Pet. 5:1ff) exhorts the elders of the church, who labour under Christ, the Chief Shepherd, to tend the flock of God. When the elders grant the request for a child to be baptized then the elders, the under-shepherds, take upon themselves a certain responsibility for that child. They must give the same care and attention to the lambs of the flock as they do to the older members, albeit in a gentler way. They must do so in obedience to the command of Christ: "Feed my lambs!" (John 1:15). They must do so in obedience to the command of the apostle Paul to the elders of Ephesus, and so to all elders every where, "Take heed ... to all the flock, in which the Holy Spirit has made you overseers, to care for the church of God which he obtained with the blood of his own Son" (Acts 20:28). All the flock, also the lambs. 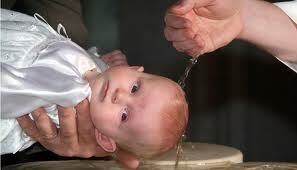 The third question directed towards parents having their children baptized comes again into view here. Parents are not only asked whether they will instruct their children in the doctrine of Holy Scripture; they are also asked whether they promise to have them instructed therein to the utmost of their power. This question implies the responsibility the church has for the youngsters. What is this responsibility? The scriptures show us this. E.g., when Joshua led the first worship service in the Promised Land then he assembled the whole congregation, infants included. Joshua read the law in the presence of all Israel including, as Joshua 8:35 makes emphatically clear, "the little ones." When Joel called together the congregation of God's people of Israel in a time of disaster, to lead the people in repentance, then he said, "Blow the trumpet in Zion; sanctify a fast; call a solemn assembly; gather the people. Sanctify the congregation; assemble the elders; gather the children, even nursing infants...." (Joel 2:15-16). And then think of the care the Lord Jesus extended to the children. He took them in his arms and blessed them (Mk. 10:16). He admonished those who would keep them away from him (Mk 10:13-14). He threatens with eternal punishment those who would cause a little one to stumble (Mt. 18:6). He said that their angels are always looking upon the face of their Father in heaven (Mt. 18:10). He sticks up for them when the priests and scribes complain about them (Mt. 21:15-16). His heart was filled with compassion for them when he thought about how they too would suffer in the destruction of Jerusalem (Lk 19:41-44). 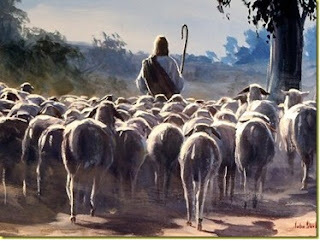 He is the Good Shepherd who takes his lambs up in his arms. Following him, the church must do likewise. How must the church do that? We must be brief. The ministers must make sure that their preaching reaches the children and the youth as well as the more mature members. The whole church service and the sermon must be meaningful, accessible, and understandable for the children in the church. Somewhere I read that the Rev. Abraham Kuyper would keep two pictures on his desk: one of a young member of the congregation and one of an old member. As he wrote his sermons he would often glance at the pictures remembering that his sermons needed to reach both. The story may be apocryphal, but it's a nice story that illustrates well the audience for which ministers prepare their sermons. [T]he things of the LORD are spiritual in nature, and not necessarily apprehended by the reason. As a result, God often hides the things of His kingdom from the wise and prudent and reveals them instead to speechless babes. Do not underestimate the power of the Gospel, the means of grace. The words of the Lord Jesus in Matthew 28:19,20 underline the task of the church towards those who have been baptized. The Lord Jesus commanded the apostles, and in them the church of all ages, to teach those who have been baptized to observe the commandments of Christ. The order of words is instructive. After baptism comes further instruction in the things of God. The Reformed churches have taken this seriously. And so we have catechism instruction in which the youth of the church are further instructed in the Word of God and the true faith. Though Catechism is important, as is Christian Scools, yet in Deuteronomy, the parents have the primary responsibility. Yet in House Visits, too often there is no family worship, In teaching Catechism, students come unprepared because they are “too busy”. Yes, it needs to start in the home. If it is not happening there then the Christian School and the catechism class room won't add much.